Tens of thousands of people around the world use White Rabbit Press products, which have been around since 2003. 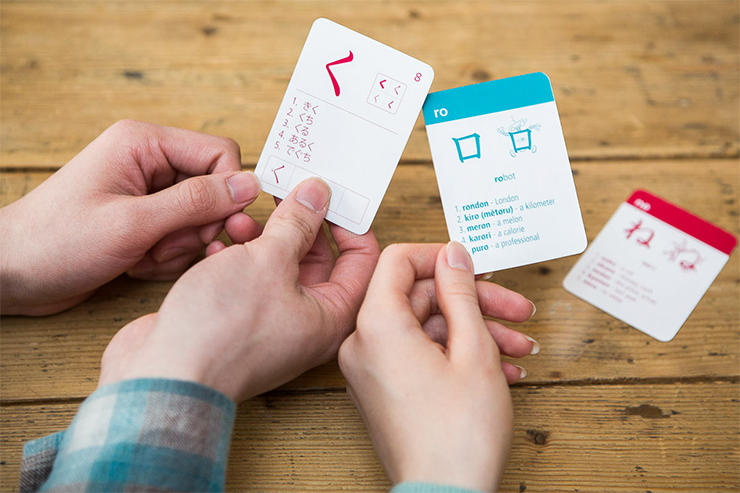 We started with the goal of producing a better set of kanji flashcards. Now we dominate sales on Amazon.com and in markets around the world. We've spent thousands of hours developing our products, so that you can get the most from your study time. Master Hiragana and Katakana in a flash. 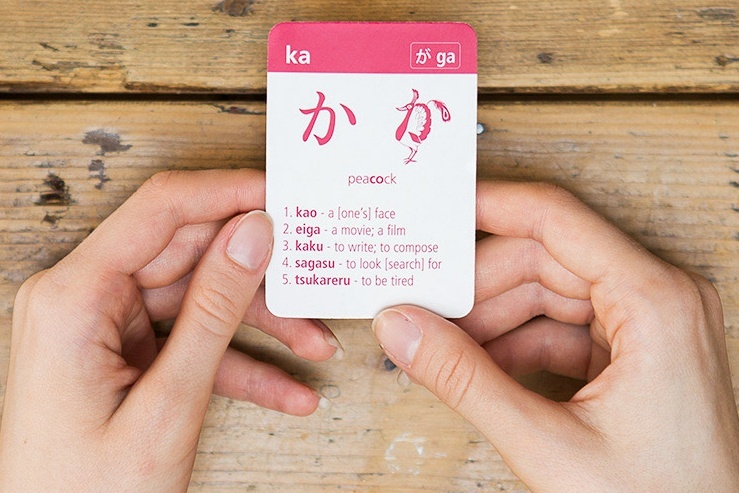 The world's favorite Japanese Kanji Flashcards. Stories for every level - with pictures and audio. 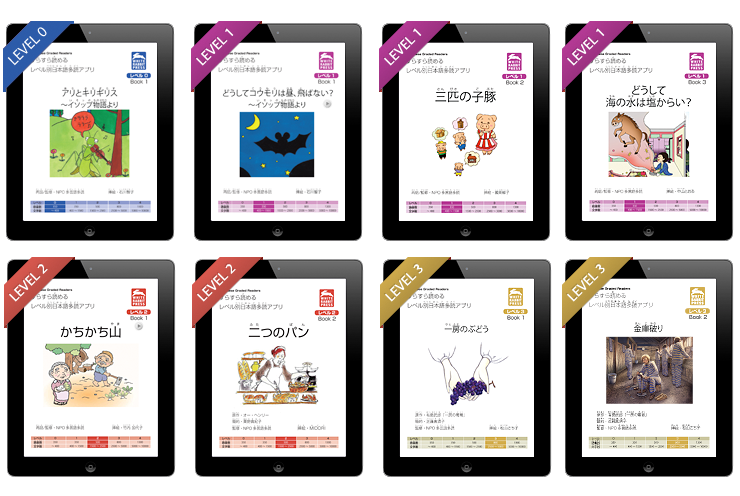 Read real Japanese on your mobile phone. All the Kana — on your wall! Large A-0 size poster with readings and definitions. 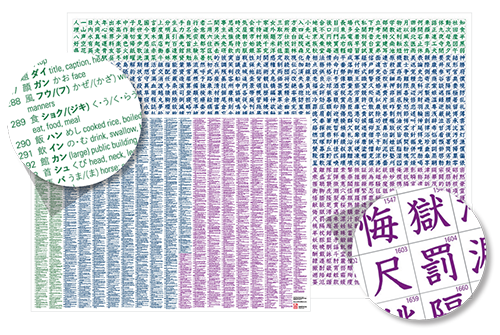 All the Kanji — on your wall! Learn Kana in a Flash. 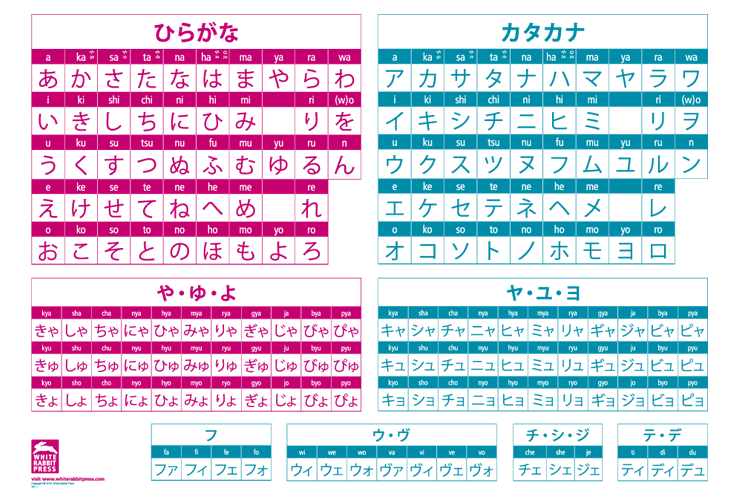 Both hiragana and katakana are composed of 46 different phonetic symbols used to represent all the possible syllables of the spoken language. 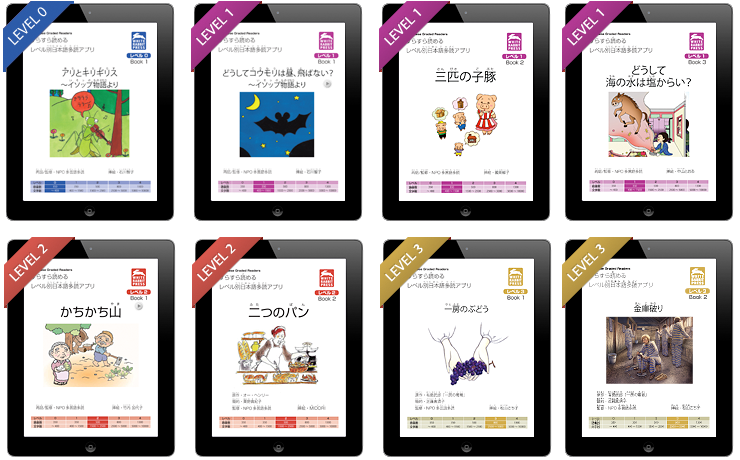 You'll quickly learn to recognize and remember hiragana and katakana with our kana flashcards and reference poster. Drill Kanji. Anywhere you go. Kanji are the Chinese characters that comprise the heart of the Japanese writing system. 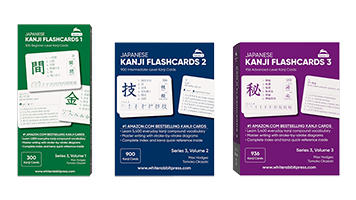 You'll find our kanji flashcards an indispensible aid in efficently mastering kanji. Graded readers are books especially written for language learners. They employ a limited set of grammar and vocabulary which allows learners to enjoy reading without struggling. Each story includes illustrations to aid comprehension and audio of the full-text narrated by a professional Japanese voice actor. Thank you, @whiterabbitexp, for getting these Kanji flash cards from Japan, to my doorstep, unbelievably fast! どうもありがとうございました! Thanks to @whiterabbitexp for helping me further my Japanese studies! Here are a few quick answers to common questions. See oursupport sitefor additional help. Is Japanese hard to learn? Japanese is among the most difficult languages for English speakers to learn, for both grammatical and cultural reasons. We suggest learning as many kanjias possible. Kanji are the Chinese characters that comprise the heart of the Japanese writing system. The merits of learning kanji are many: first, Japanese are generally impressed when gaijin (foreigners) know any kanji, which speaks to a person's interest in learning something deep about the culture; second, kanji is everywhere in Japan, so you'll have many opportunities for interaction with Japanese--you can start a conversation virtually anywhere by asking Japanese how to read the characters; and, third, learning kanji involves the simplest and most fundamental process of rote memorization and therefore can be done with flashcards, nothing fancy, no expensive gimmicks necessary. How long does it take to learn Japanese? It generally takes years to achieve fluency in polite, business-level Japanese. However, after only a few months of intensive study one can become able to use the language in a great variety of everyday situations; such as, meeting people, shopping, dining out, and booking hotel reservations. We ship everywhere except for Indonesia, Vietnam, and most African countries (but we do ship to South Africa) Please also note that we cannot ship candy and snacks to Brazil due to import restrictions. Other import restrictions may apply too. Our sister shop includes hundreds more Japanese language products difficult or impossible to find outside of Japan. © 2017 White Rabbit Ventures LLC.